There is so little space in our homes, yet our demands are so much more! 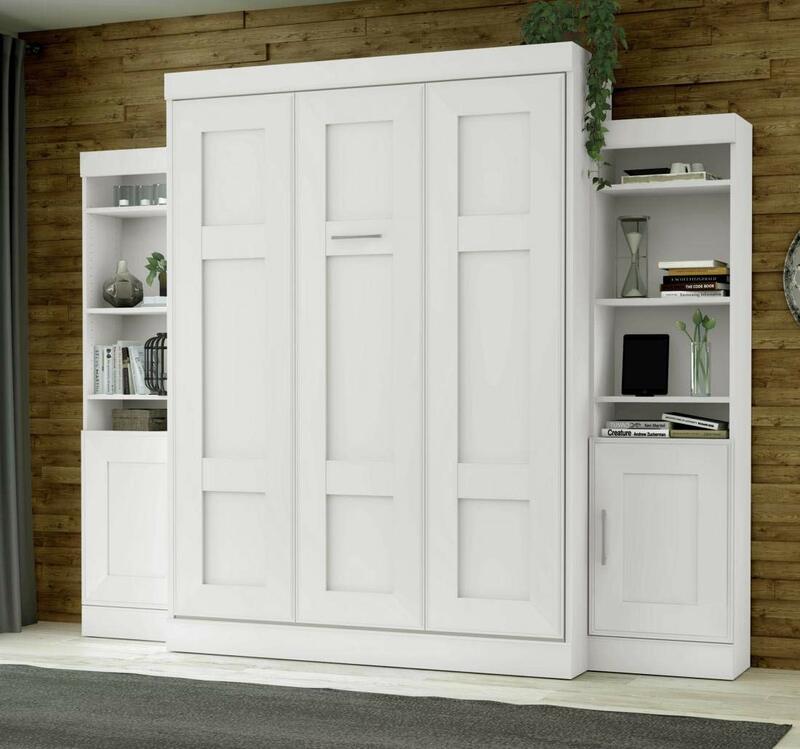 What could you do if you don’t have any room to spare but still need to add some new furniture? 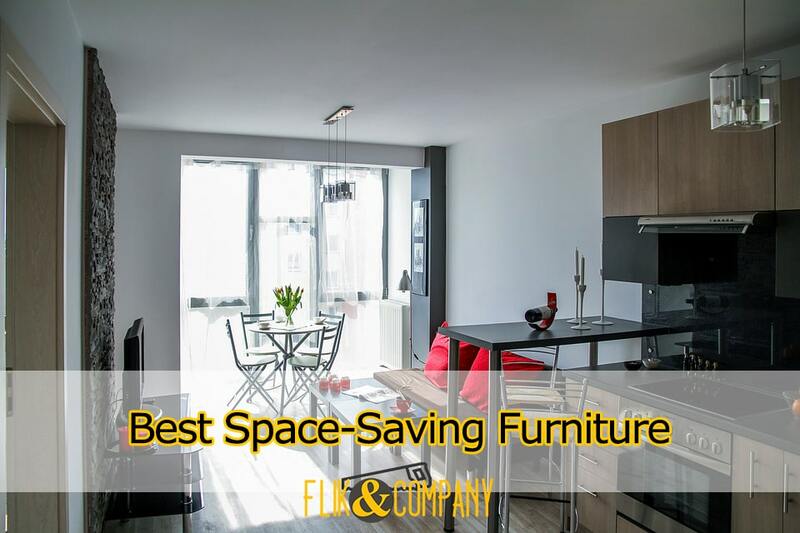 You need to buy space-saving furniture, of course! Besides, you can also just throw all your old bulky items away and replace them with storage-efficient and versatile ones. Simply put, you need to optimize your room usage! And with our reviews of 40 space-saving furniture pieces, we are going to help you with that! Tip: Click on the category below for easier navigation. How to choose a furniture that doesn’t consume much space? Again, if you can have one furniture item, why have two or more? 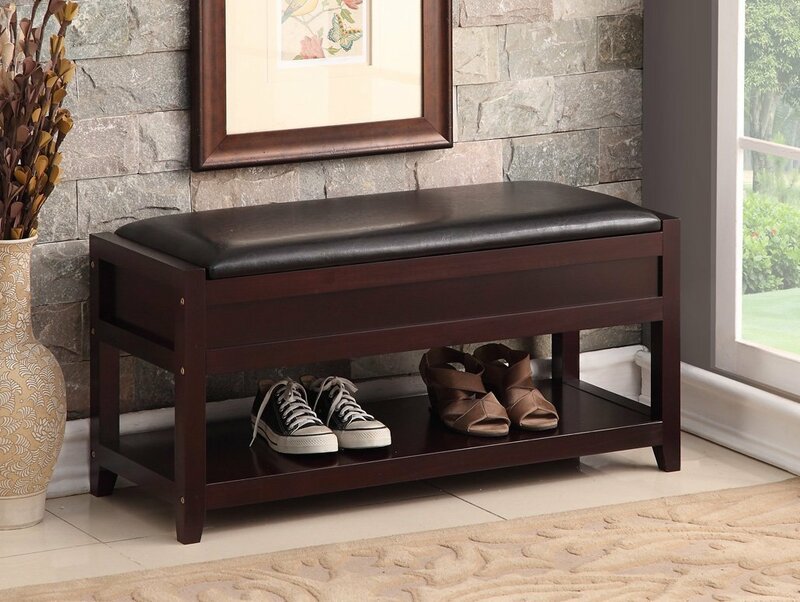 This shoe shelf organizer combines a bench made of bonded leather and a wide storage shelf for your shoes. Measuring 13.4×6.4×37 inches (HxDxW), this storage organizer can save you plenty of space on shoe storage. 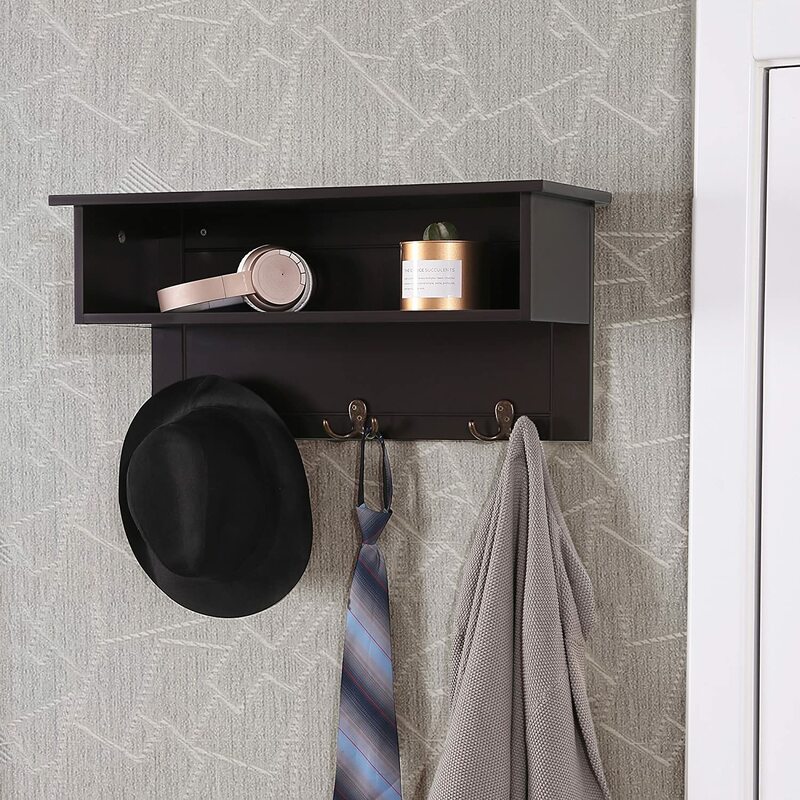 This hanging wooden shelf allows you to keep items like clothes, scarves, keys, and whatnot organized and within reach in one small area. Sized at 23.6×7.9×10.6 inches (LxWxH), this hanging shelf occupies only little wall area. And because it is hanging, it won’t be taking any floor space away from you. The Arthur Light Grey Tufted Fabric Armed Storage Ottoman Bench is not only a comfortable place to relax but also to store items in. Its roomy storage compartment allows you to both keep your necessities close and save living room space. Dimensions: 17.25″D x 45.50″W x 21″H. This coffee table is a very convenient addition to any living room. Its lifting tops allow you to create an easy-to-reach working area, while the large storage compartment keeps your items organized and away from view. When you don’t need an ottoman bench to relax, it just sits in the middle of the room occupying the precious area. 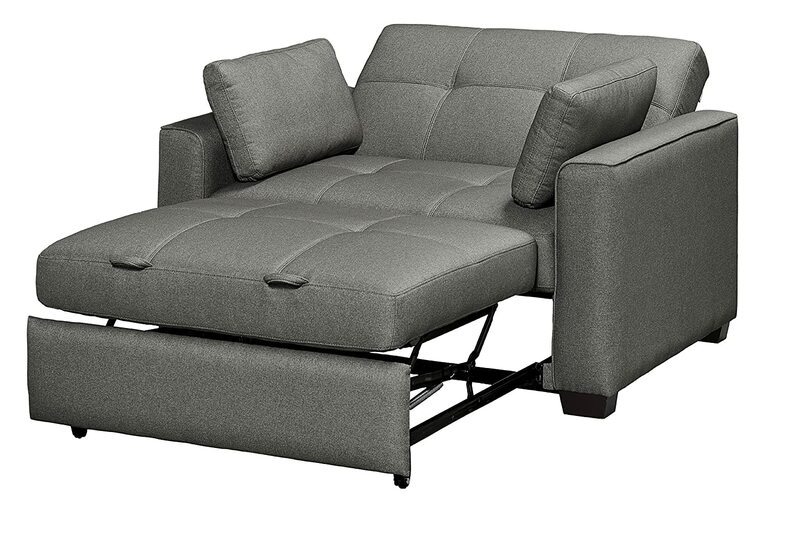 Modway lounge chair (16x28x30 inches (LxWxH)) allows you to solve that problem by just tucking away the included ottoman bench (14x18x12.5 inches (LxWxH)) into its own nested compartment! 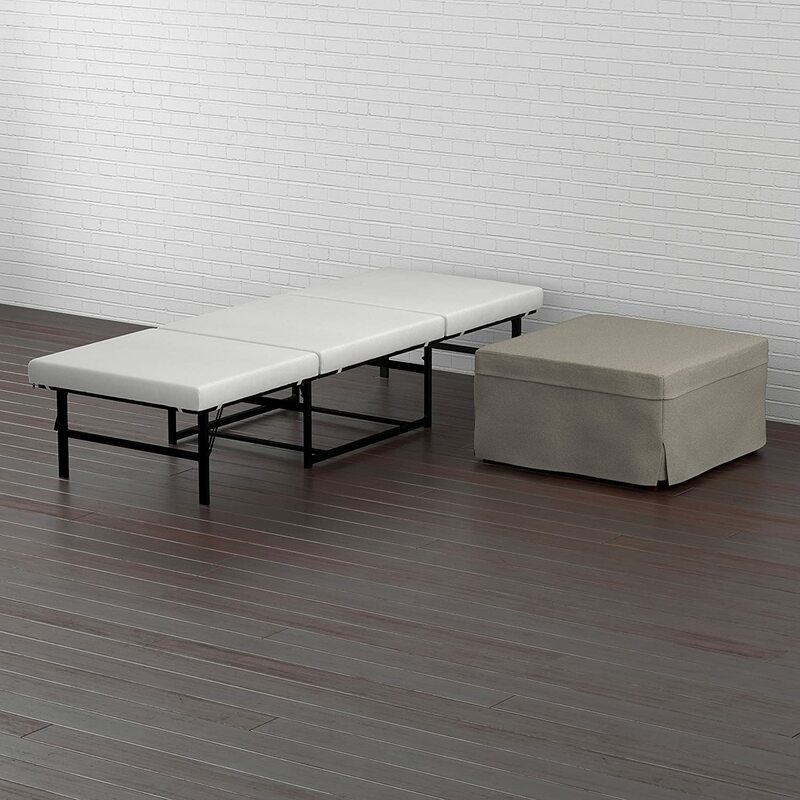 This product includes not only an ottoman bench but also 2 poufs that can be stored inside the bench. In addition, the top of this bench flips to form a nice coffee table surface. And all this beauty just occupies 17.25×34.75×16.25 (DxWxH) inches! Rather than getting a separate sofa, a lounger, and a bed, get this convertible sofa to save plenty of living room area! This sofa measures 73.2×38.0x38.0 (LxWxH) inches as a sofa and 73.2×78.3×20.0 inches as a bed. Not much, right? Would you like to have a convertible armchair rather than a sofa? Then Intex pull-out chair & inflatable bed is for you! 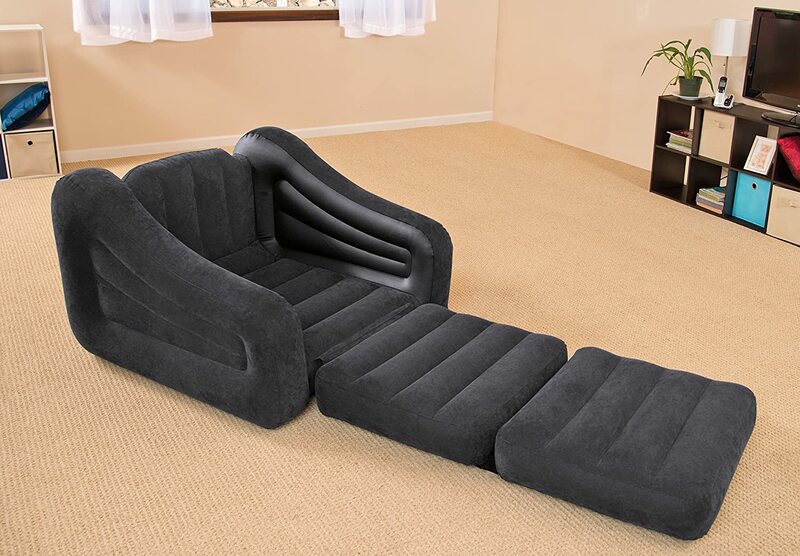 This thing is also inflatable, so you could just collapse it and put away when not in use. This stackable storage safe can help you really save space in your living room. Not only is it slim (5.9×11.42×34.65 inches (WxDxH)), it can also be stacked horizontally or vertically if you have several of them. With a foldable tabletop, Winsome Space Saver Set only needs 30.6×15.3×31.7 inches (WxDxH) with the leaf closed. In addition, the 2 included stools can be tucked away beneath the table not to occupy any inch of additional area. 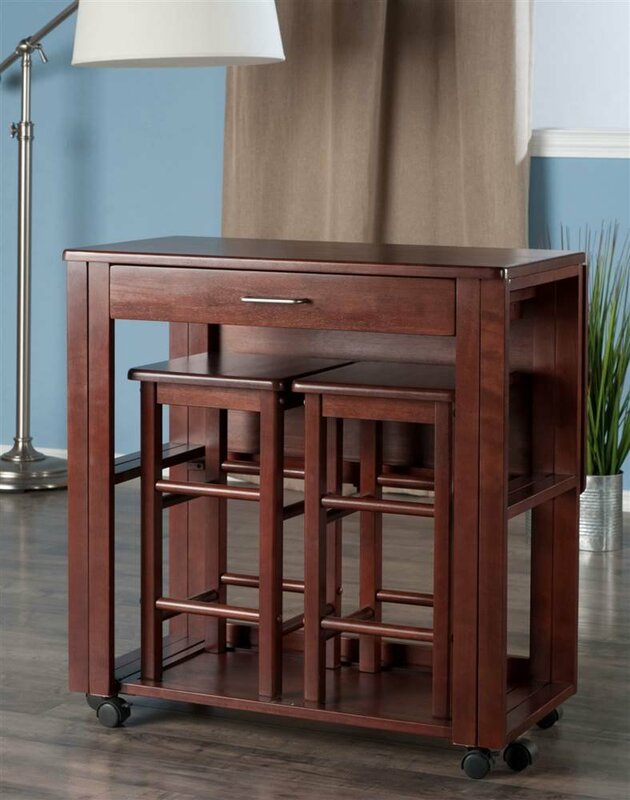 This drop-leaf breakfast cart is very similar to the Winsome Space Saver Set, so it may be a good alternative for your dining room, especially if you love wooden furniture that has a handmade feel to it. 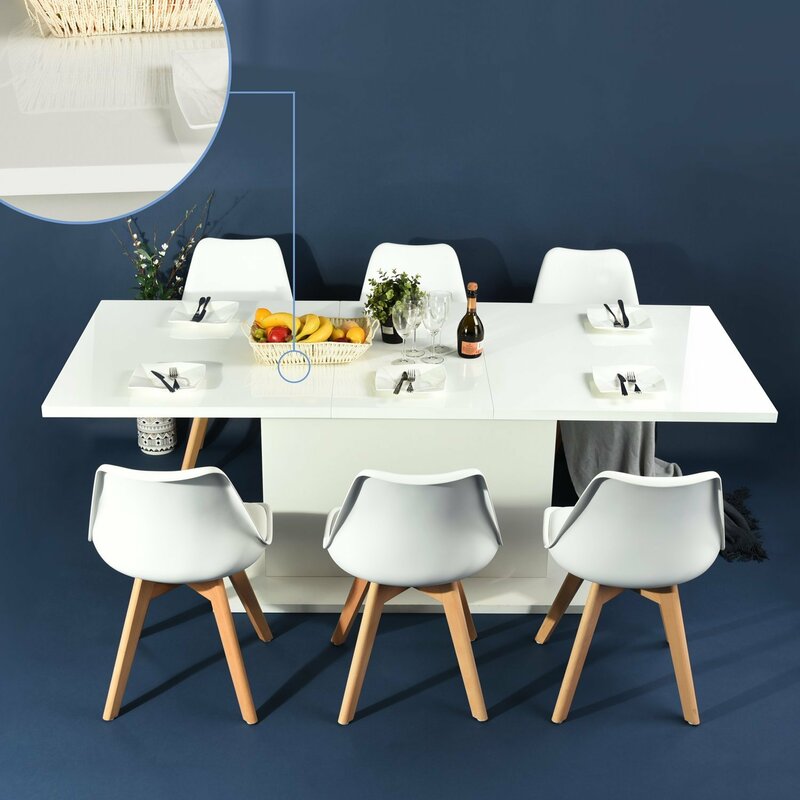 This 31.3 inches tall and 35 inches wide sleek dining table boasts an extendable 63- to 80.7-inch dining surface, allowing you to provide 4 – 10 people with seating room when necessary. 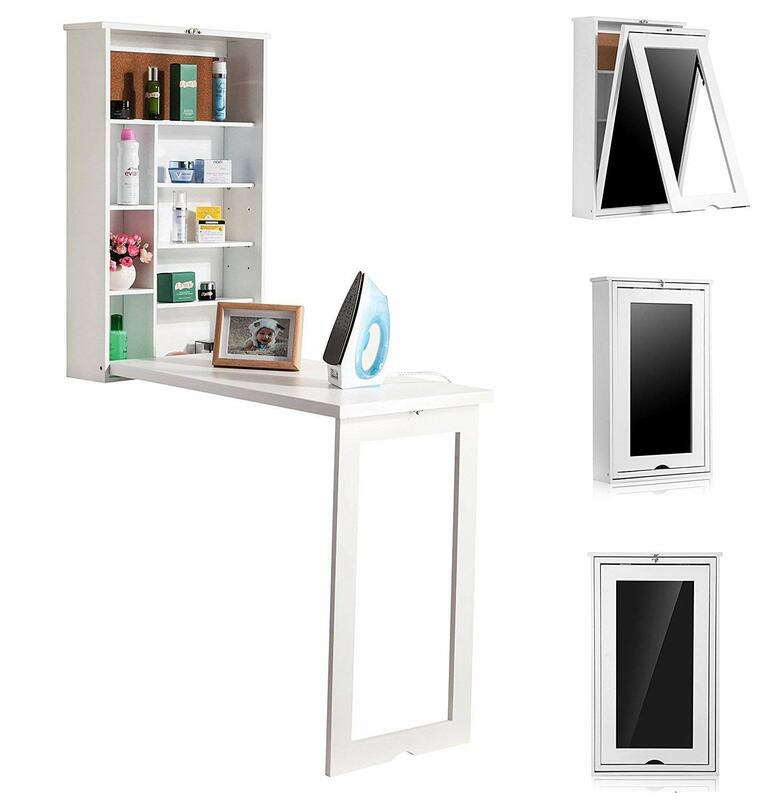 Additionally, its supporting pillar has some good storage space to offer. 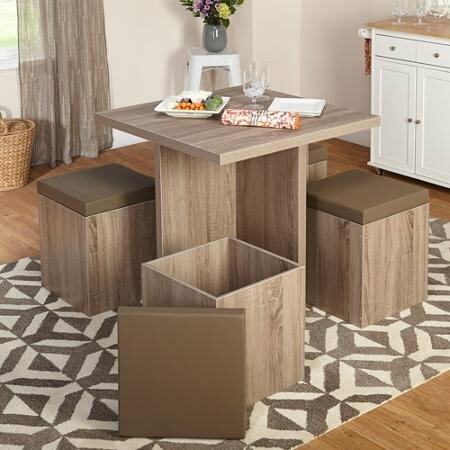 This dining set comes with 1 table and 4 storage ottomans that together occupy an area around 30 inches wide and 30 inches deep. Each of the ottomans has a roomy storage compartment within to keep plenty of your items organized. 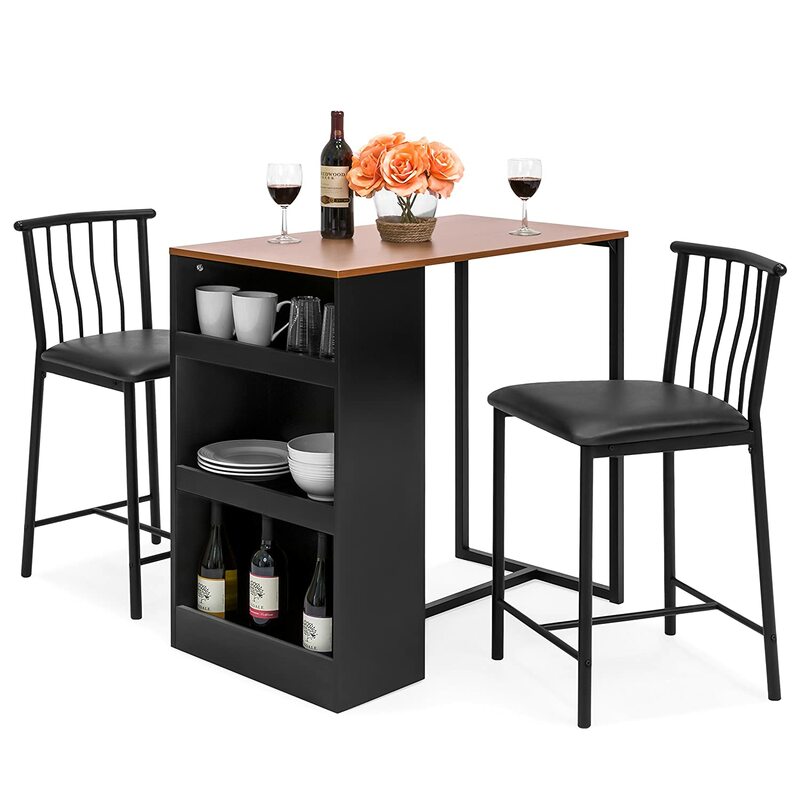 Sized at 36×19.5×36 (LxWxH) inches, this dining table set combining a shelved kitchen counter, a dining table, and 2 stools is a true space saver. 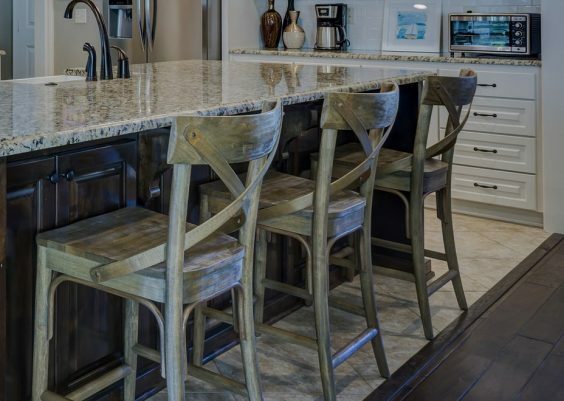 No need to have separated bulky counters in your dining room with this set! 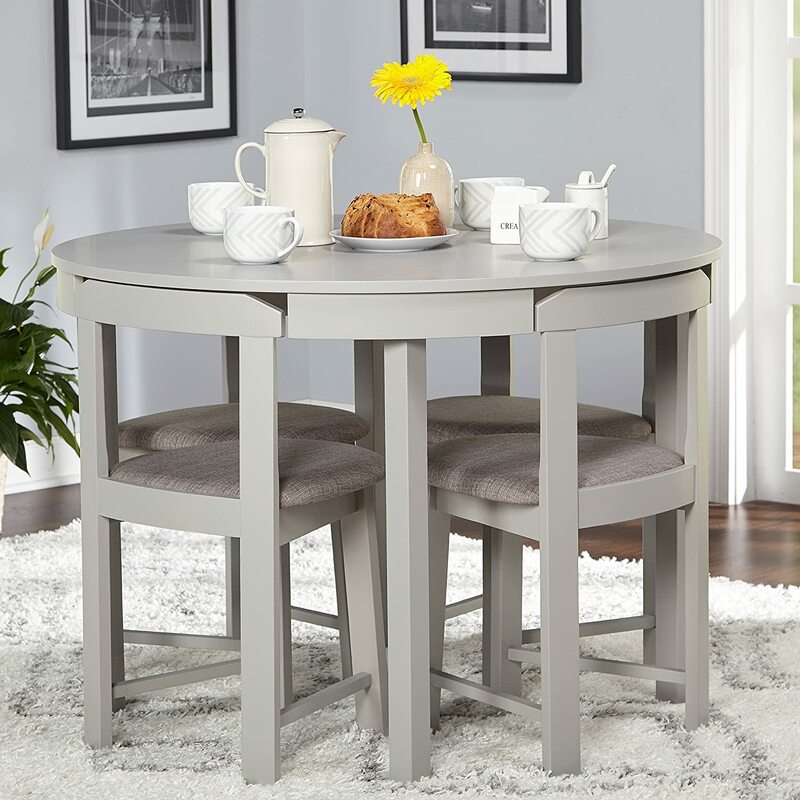 This dining set includes a round table and 4 rounded chairs that can be conveniently tucked under the table. 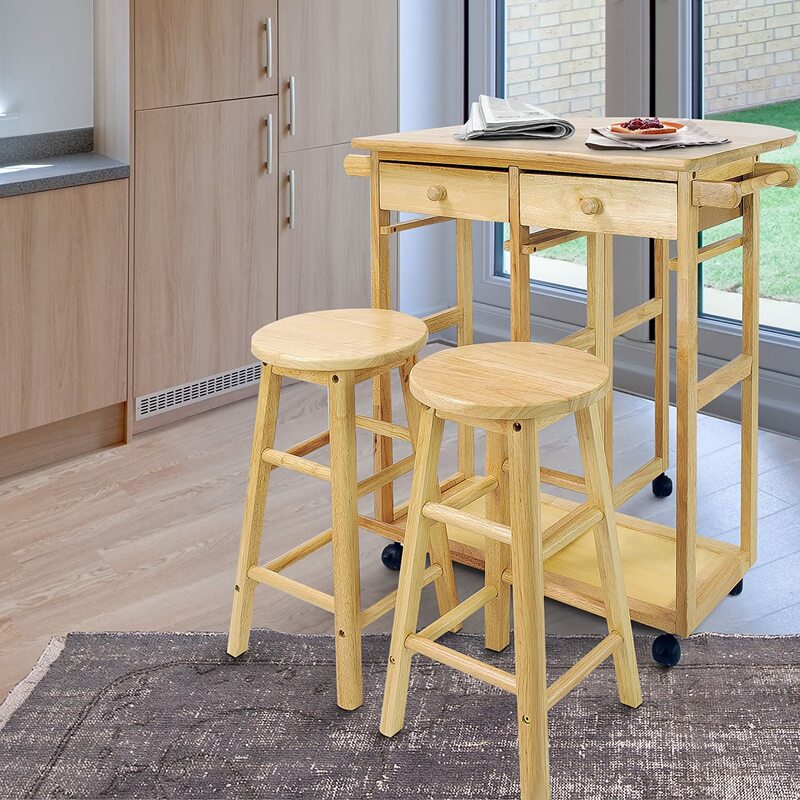 Not only is this set space-saving, it also provides convenient seating position thanks to its round shape. If you’re a wine enthusiast, then you’ll certainly appreciate the degree of space-saving this rack brings with its 26×13.75×2.75-inch (LxWxD) size. 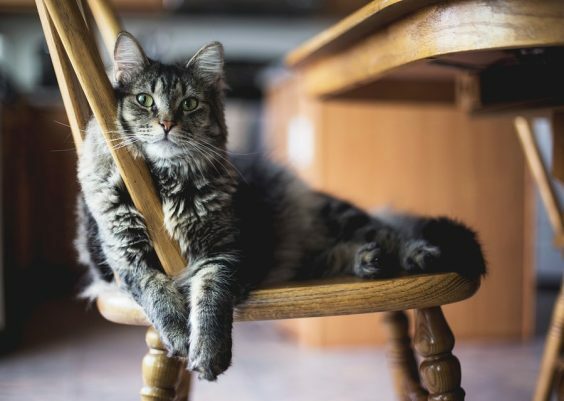 Hanging, it doesn’t occupy any floor space. Besides, it can keep both your wine bottles and glasses organized in one place. 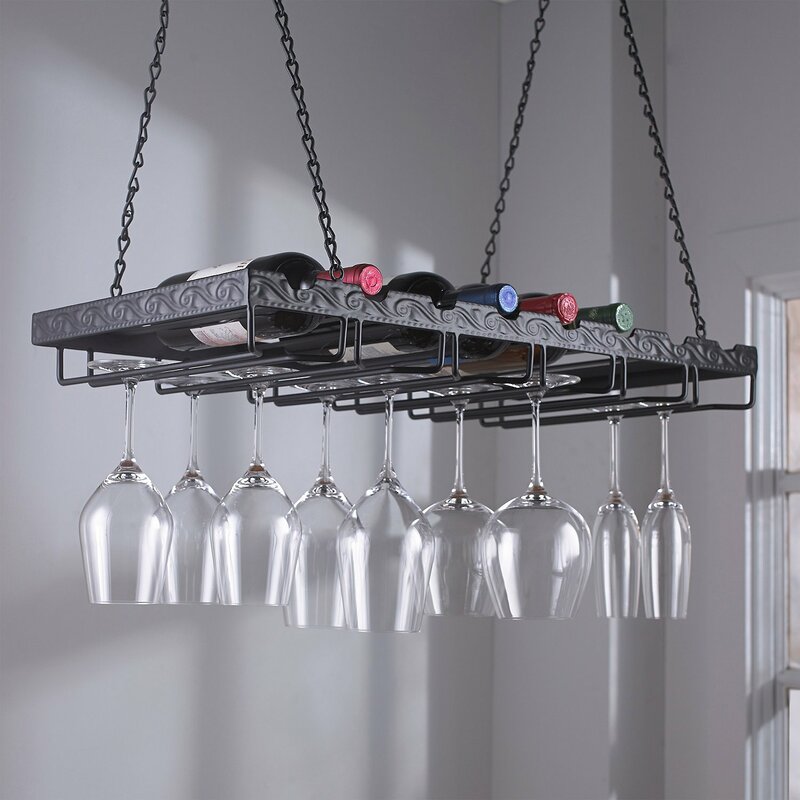 If you aren’t a wine enthusiast, then this rack may interest you more! 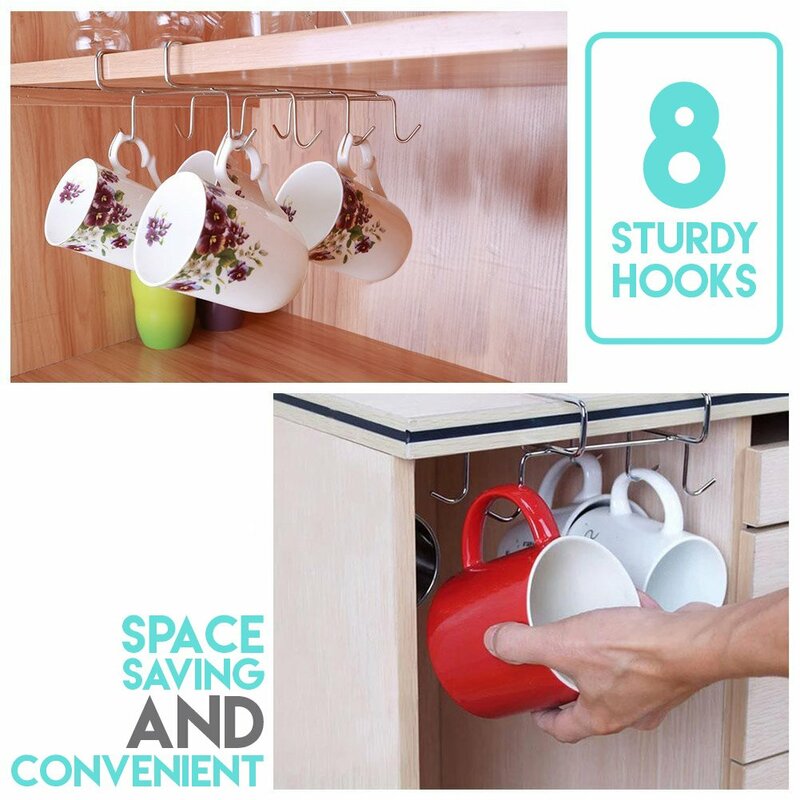 Equipped with 8 hooks and sized at 7.9×6.5×1 inches, this mug hanger allows you to save space for additional dinnerware in your cabinets. 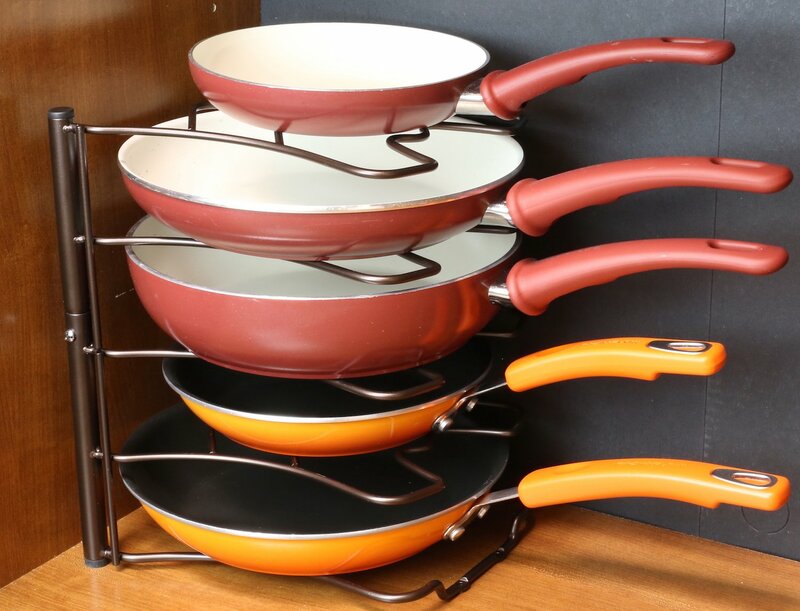 Instead of occupying precious cabinet space, your pans could be conveniently placed in this organizer sized at just 9×9.5×11.75 inches (LxWxH)! In fact, you could place this rack both horizontally and vertically depending on your space-saving needs. Queen-size beds occupy a lot of space, but not with this wall bed kit! 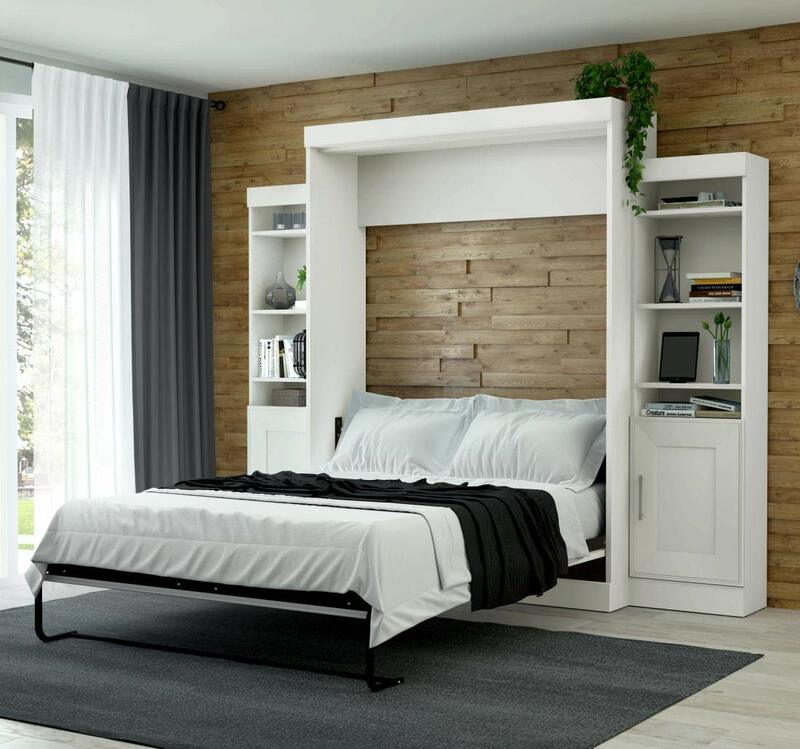 Fitted with a lifting queen-size bed and two side storage shelves, Bestar Queen Wall Bed kit occupies as much space as a regular wardrobe when folded! This king size bed combines the comfort of a king bed and the convenience of a 7.5-inch deep storage compartment beneath. Why not just have a single bed rather than a separate bed and a storage cabinet? 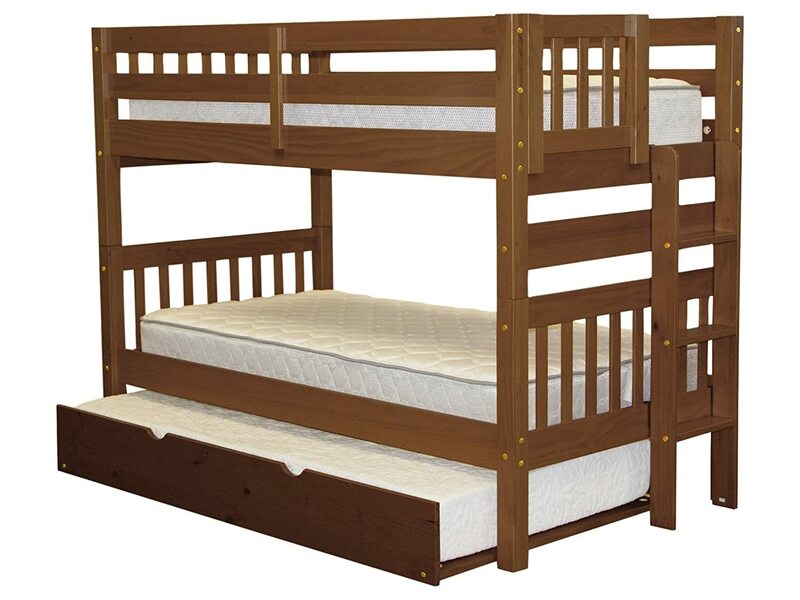 You’d need to have plenty of free area to get 3 beds for your kids. No longer with Bedz King twin trundle bed! 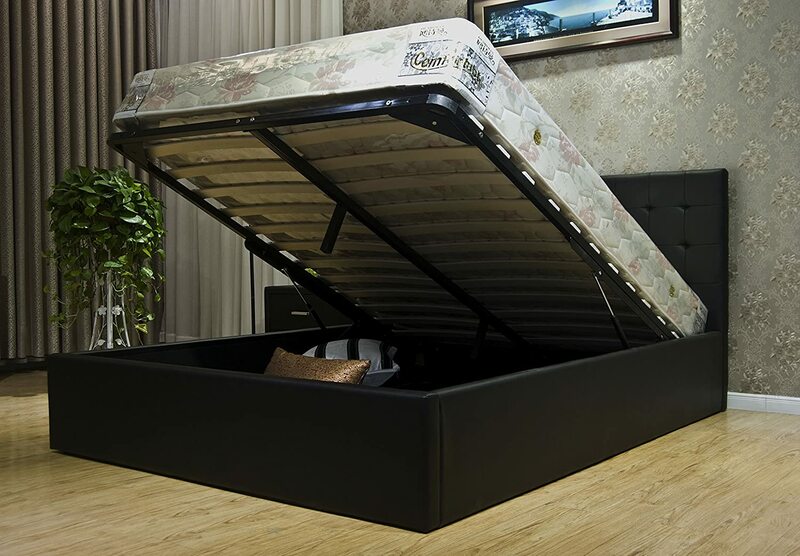 Measuring just 82.5×42.5×61.5 inches – as much as a regular two-level bed – this bed delivers area for 3 mattresses! Having spare beds for unexpected guests is a great idea, but they are hardly ever used. And the worst thing is that they occupy precious bedroom area anyway! 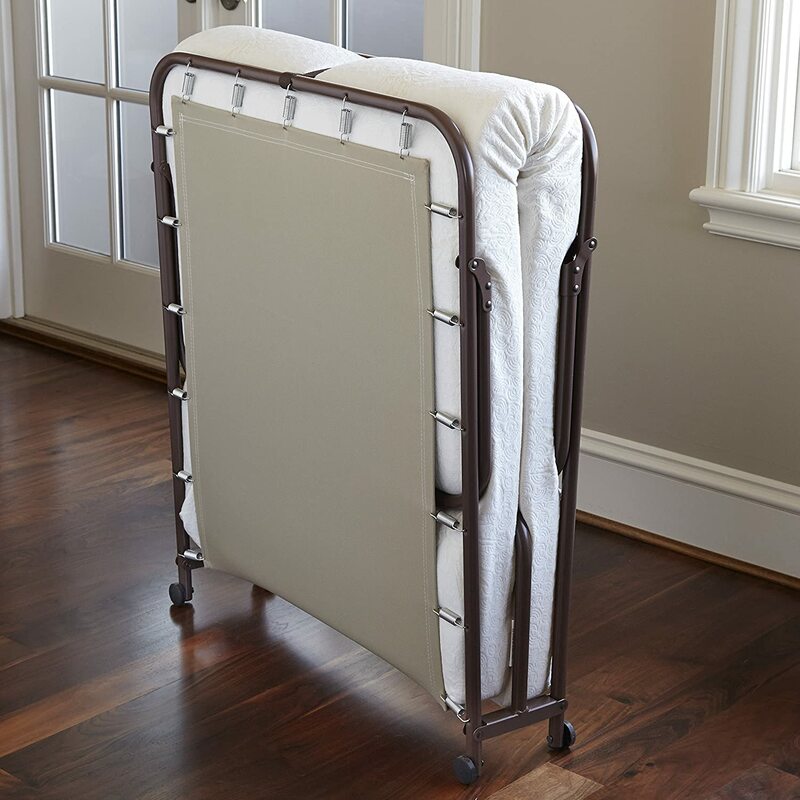 Thanks to this folding ottoman sleeper guest bed sized at 26.8×27.2×15.4 inches, you get a spare sleeping area for your guests only when they need it. This one is a foldable alternative to the Ottoman Sleeper Guest Bed. It just folds in half to occupy just about 32x31x18 inches of space, which makes it very convenient for storage. 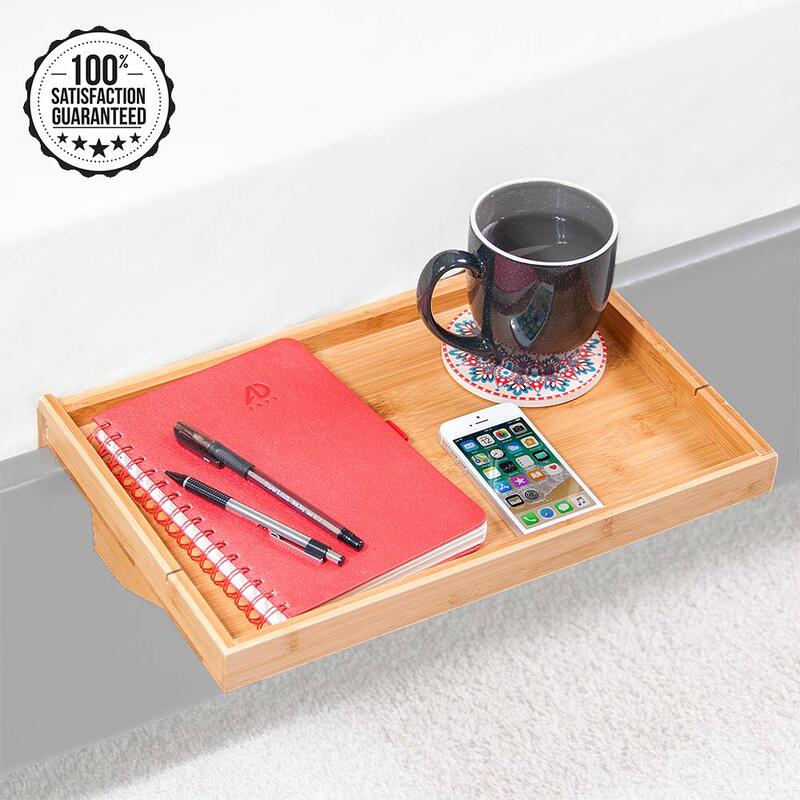 Having this attachable bed shelf instead of a bedside table is a great space-saving option. When necessary, you just attach this little guy measuring 15.8×10.5×3.2 inches to your bed frame to hold anything that can fit in it! If you want a nightstand, then have a look at one offered by Alanna. Fitted with two storage shelves, this compact nightstand sized at 15.25×20.00×24.75 inches (DxWxH) not only saves space but also fits plenty of items. 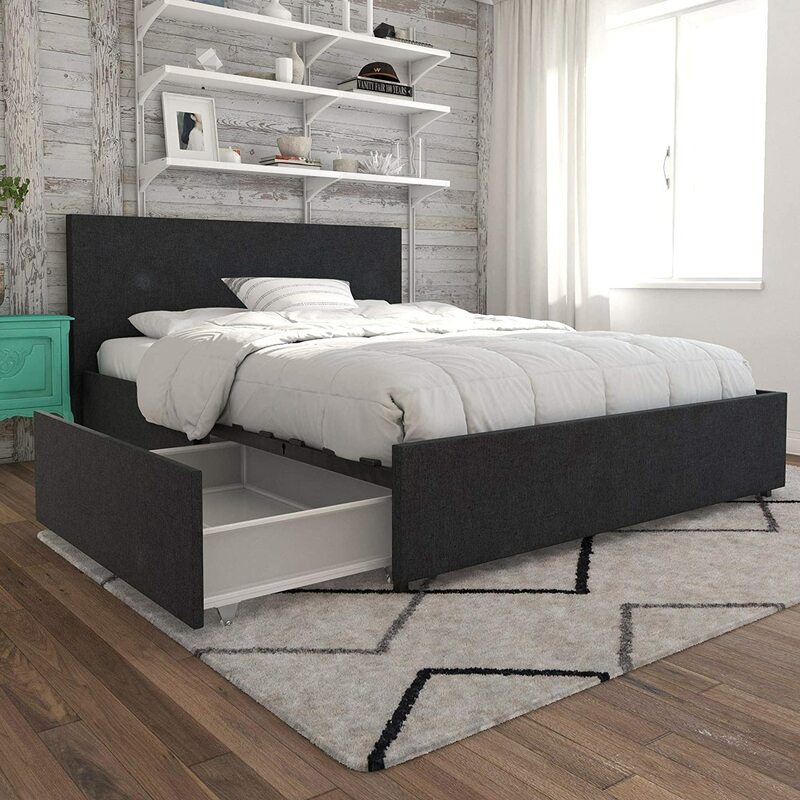 This full-size bed measuring 79x57x39 (LxWxH) inches delivers not only comfort but also convenience thanks to its 4 large storage shelves, each sized at 35×23.5×6.5 inches. You could really save plenty of storage area with this bed! 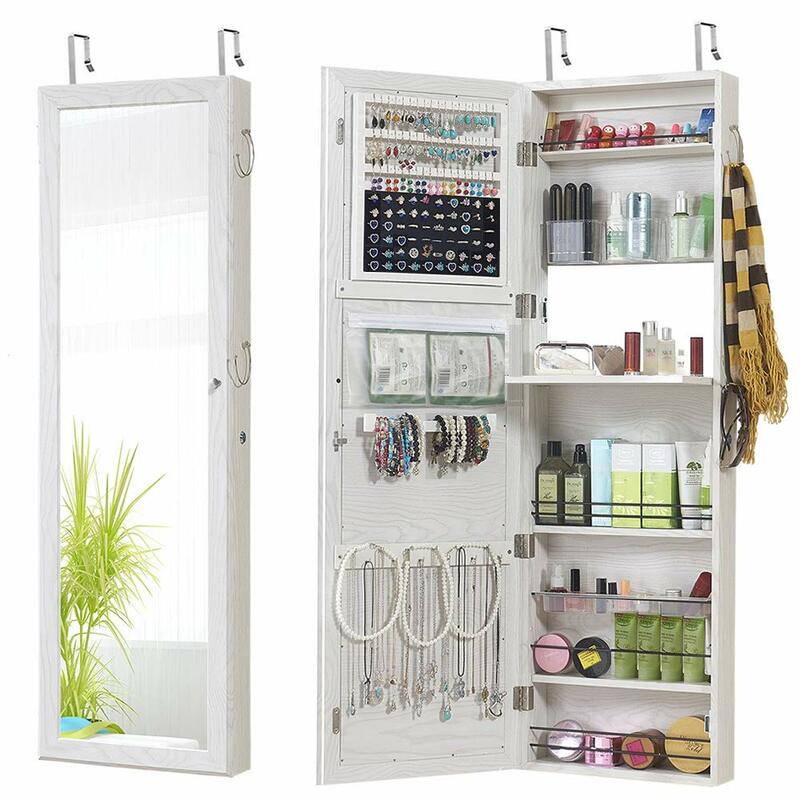 Instead of dedicating a bulky cabinet to your jewelry and cosmetics, why not pick this slim wall cabinet that also has a mirror on the front? This thing just measures 14.57×47.24×3.94 inches, after all! 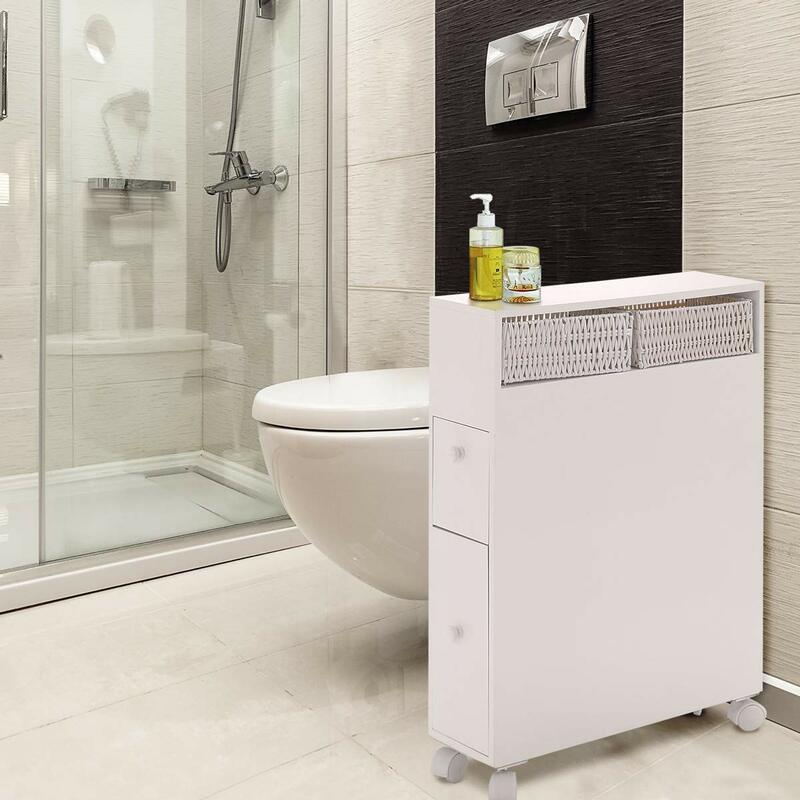 Giantex’s storage shelf with a tilt-out hamper should have everything you’d need in a bathroom in just one piece. Measuring mere 16 x12x38 (LxWxH) inches, this thing combines in it two spacey storage shelves in addition to the hamper. Sized at 19.6×6.3×28.7 (LxWxH) inches, this rolling floor cabinet is not only compact but also portable. 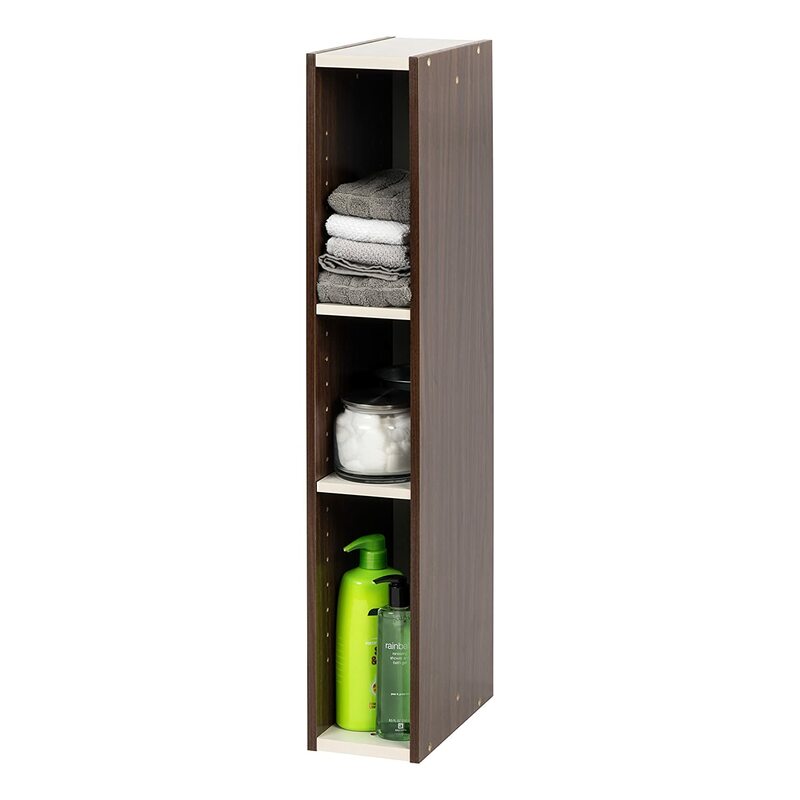 Fitted with four drawers, this cabinet provides plenty of storage space while occupying just a corner in the bathroom. If you have enough wall area around your toilet, why not use it more efficiently? 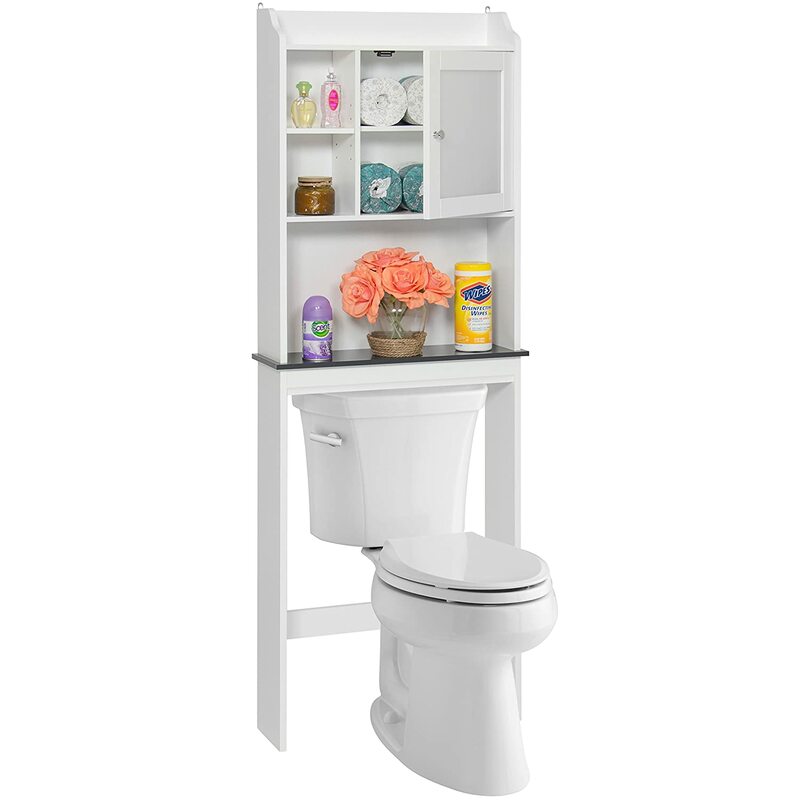 Designed to be put over the toilet, this storage cabinet measuring 34.3 × 7.1 × 38.6 (L×W×H) inches makes use of an area that you would not have thought to utilize otherwise! 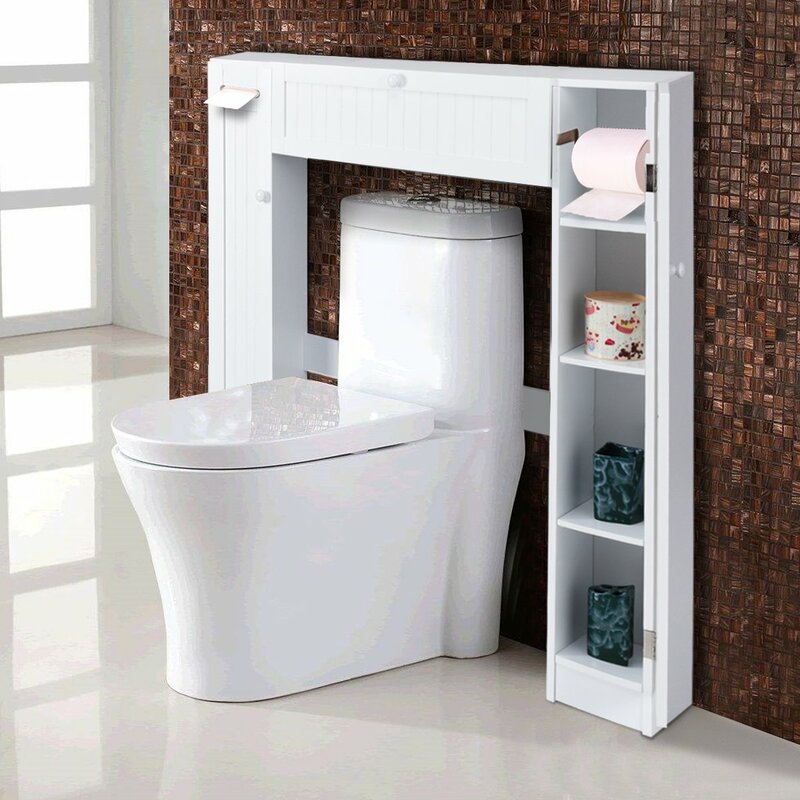 This cabinet also employs the area around the toilet, but it can be pretty easily installed even if you don’t have much wall width. For smaller bathrooms, this piece sized at 23.25×7.25×69 (LxWxH) inches will be a nice addition. If you don’t have a lot of floor area to spare in the office, then this two-tier storage shelf may come in handy. It occupies just a little area while adding some invaluable free space to your office. Dimensions: 31.5″L x 12″W x 23″H. This shelf is also wall mounted, but it has much more use given that you have the wall area for it. Measuring just 32.3×8.7×23.6 (WxDxH) inches, this wall shelf can replace an entire worktable without occupying any floor space. This desk can also provide you with some spare workspace area, but it is foldable. When closed, it measures just 32×19.5×6 inches, allowing you to use the free space as long as you don’t need additional working area. 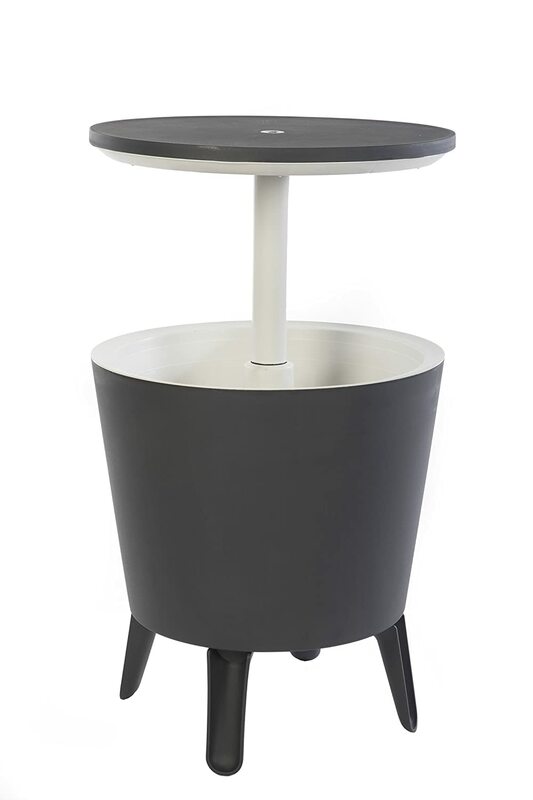 This table is a two-in-one cooler and cocktail table, which allows you to both save balcony space thanks to its 19.5 in. W x 19.5 in. D x 22.5 H size and also not to go back and forth between the refrigerator and balcony to bring drinks! 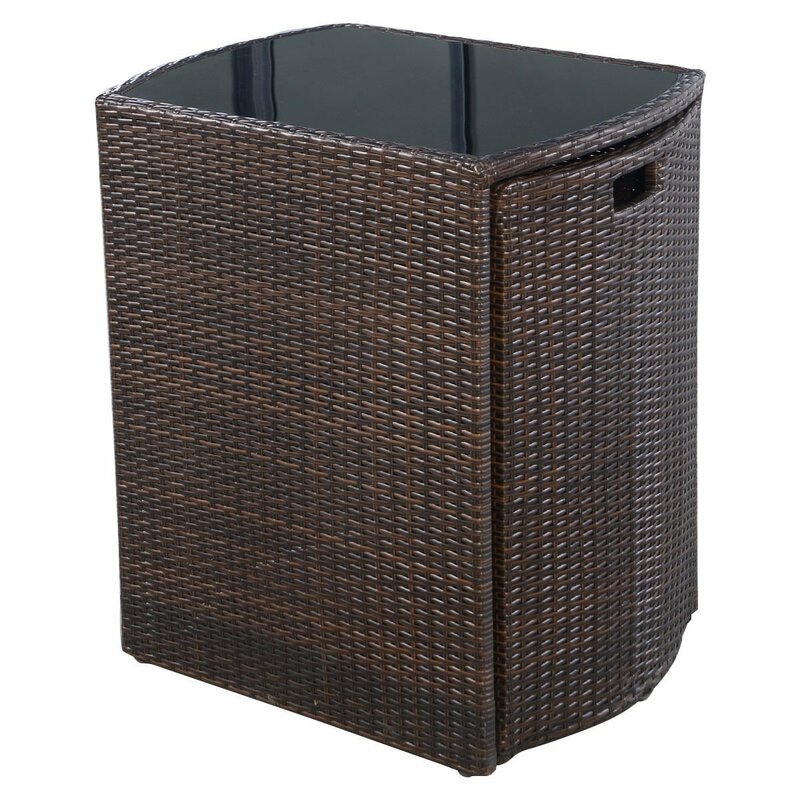 Thanks to its C-shaped design, this table can be brought in very close to your deck chair to both save space and keep the drinks closer to you. 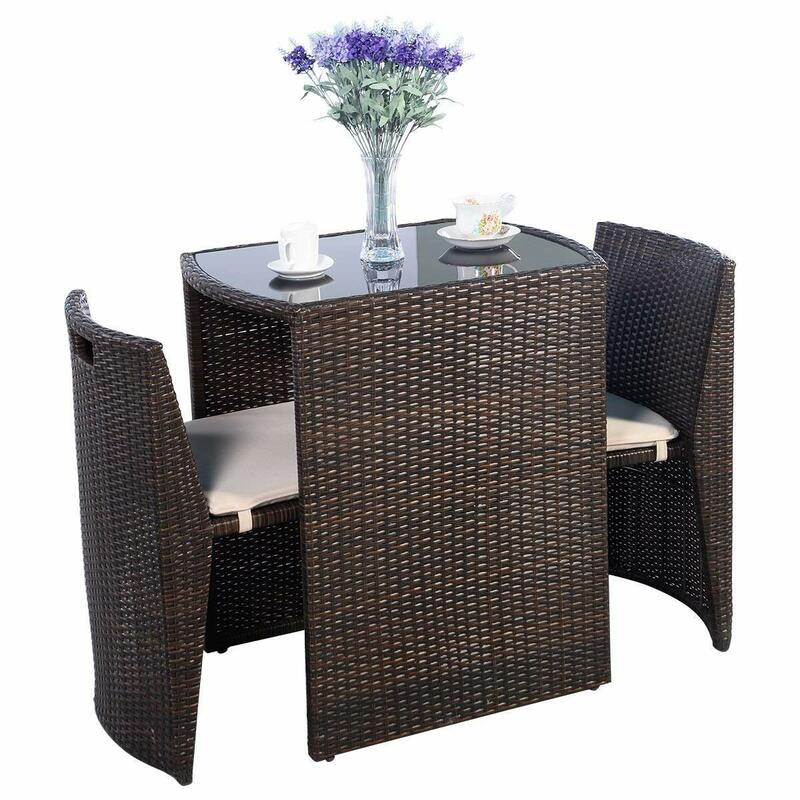 Sized at 25.96 × 19.69 × 28.75 inches (L×W×H), this exquisite patio set allows you to have a small dining area in your patio at the cost of just a small floor area! 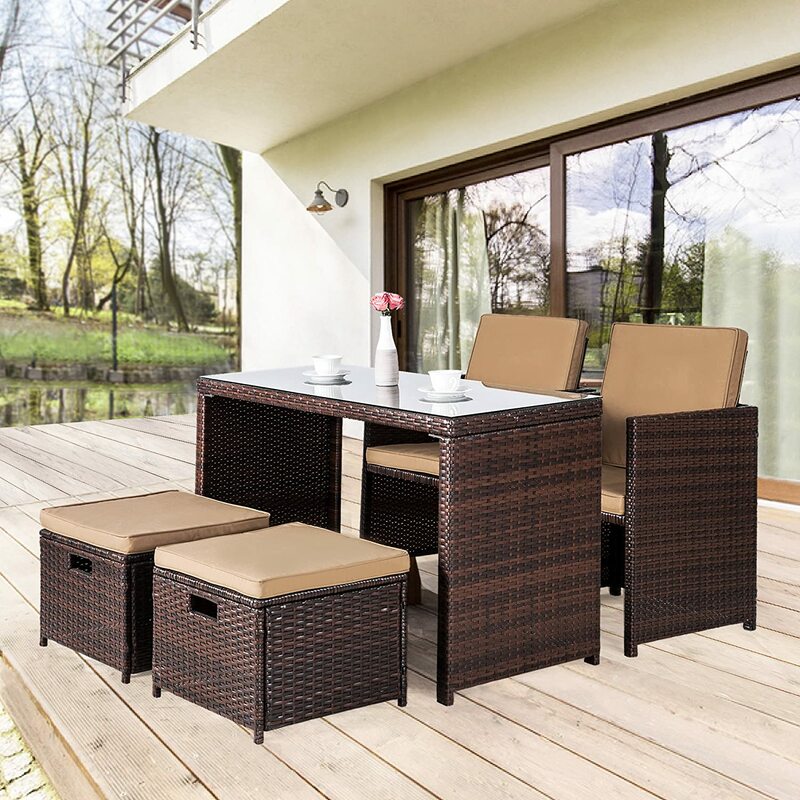 Including 5 pieces, this patio dining set doesn’t occupy much space: the ottomans and chairs can be nested under the table, thanks to which this set will just occupy about 42x22x33 inches of room. Whether you’ll be keeping this lounger chair indoors or outdoors, it can certainly offer you great storage saving thanks to its foldable design. And we think that this lounge chair goes with the C-shaped AMAYA outdoor table perfectly! Looks are undoubtedly important in furniture, but that isn’t what interests us today. What does though is how the furniture will fit your interior in terms of size. 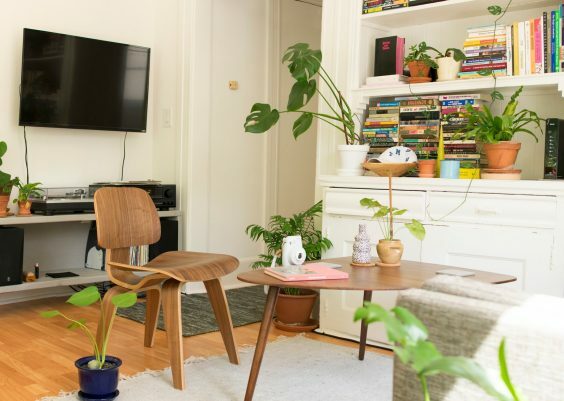 To pick the right space-saving furniture, you need to know two things: how much free space you have and how much space you wish to dedicate to the new furniture. Knowing these two numbers, you should be able to easily find the right space-saving furniture for you. Aside from measuring floor space, look at wall area as well. Some furniture pieces we reviewed are mounted on walls, allowing you to keep the floor free. If you have free wall space, then you should definitely make use of it if you find a furniture piece that you like. With walls, you should measure the area you have and decide how much space you want to dedicate to new furniture, just like it was with floors. If you do this, you won’t make the mistake of buying a furniture piece that is too big for you.